Dear friends, family and others, acquainted with the work of Annelies Hoek, as you might know already, in September there will be published an art book of Annelies Hoek including a beautiful collection of her best works from the last 50 years. It contains 120 pages of 28 x 34cm in full color, bound in hard cover. Therefore the paintings have been scanned to effectuate a true to life reproduction concerning the colors as well as the brushstroke. 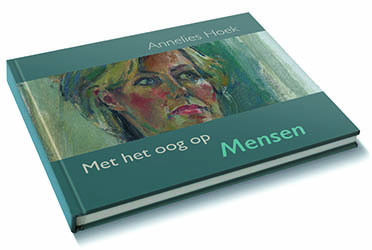 This art book is available for € 40,- per copy (excl. forwarding-charges). In case you are interested to order this (or these) artbook(s), and order it before August 4, you can choose from a unique, hand signed giclee print in the size of the book titled “The kimono” or “The Pomegranates” on the order form on the right. Please fill in your name, address and select the number of copies, and then click ‘Bestellen / Order’, so your order will be final and reserved for you. Once the book is finished, you will receive an invoice per email. After the receipt of payment, we will send your order within 5-10 days at the address you provided. From September 4 till November 5, there will be an exhibition of paintings from Annelies Hoek and two other painters at the “Museum aan het Vrijthof”, in Maastricht. During this exhibition, on September 17, the official presentation of her book will take place. When you are interested in getting more information about the exhibition or the book presentation, please let us know on this e-mail address and you will be informed later on.